The firearms in this auction are of such high caliber that you won't want to resist naming your price! 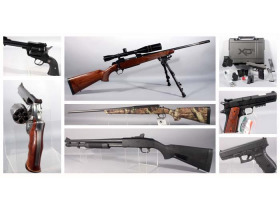 Bid your price today on all of these rifles, shotguns, revolvers, pistols, receivers and much more! Ed Brown Kobra Carry Lightweight Gen 4 1911 Pistol, Magnum Research PiCuda MLP-1722 Pistol and much more! 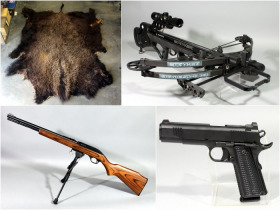 Springfield Armory M1-A Rifle, Uberti 1873 American Carbine Revolver and much more! Ruger LCP Model 03734 Lightweight Compact Pistol, Taurus Curve Compact Pistol and much more! Heritage Rough Rider Limited Edition Aces and Eights Revolver, Taurus 85-SS-2 5-Shot Revolver and much more! SMI Model SMI-15 Cerakote 70/75 T6 Aluminum Forged Lower Receivers, SMI Model SMI-15 In The White 70/75 T6 Aluminum Forged Lower Receivers and much more! Authentic Bison / Buffalo Hide Pelt Cabin / Home Decor, Authentic Fur Pelt Hat, Reindeer Hide Pelt Cabin / Home Decor and much more! Handcrafted Native American Indian Jawbone War Club, Genuine Buffalo Skull with Hand Painted Native American Design and much more! STAGGERED/DYNAMIC CLOSING: The auction will begin closing at Tuesday, June 12th - 7:07pm CST at the rate of 2 lots per minute.  The closing time of each lot will be automatically extended an additional 5 minutes whenever a bid is placed within the last 5 minutes of the lot closing. LOAD OUT: Shipping Is Available! Winning bidders may pick their items up at 16513 Cornerstone Drive; Belton Missouri on Wednesday, June 13th from 1-5pm & Thursday, June 14th from 9-12pm. Any items left after the specified load out dates will be considered forfeited unless alternate pickup or shipping arrangements are made. It will be the buyer's responsibility to dismantle & disconnect any and all equipment. Please bring your own tools, labor, packing materials & moving equipment.